It has been a meteoric rise for Eddie Halliwell. Not only is his name screamed out on dance floors across the globe, he is also renowned as one of the major players in dance music, having twice been voted DJ of the year by Clubber’s Bible Mixmag. 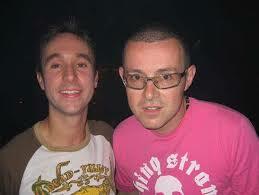 Eddie Halliwell is an international House and Trance DJ, born in Wigan, Greater Manchester. Eddie Halliwell has held residencies at Goodgreef, Gatecrasher and Cream in Ibiza. He was twice named DJ of the year by leading dance music magazine Mixmag in 2003 and 2005. Eddie reached millions of UK homes with his own BBC Radio One show from 2005-2008, during which time he was responsible for 7 of the best ever Essential mixes. As a former resident DJ for BBC Radio 1, hosting his own weekly show, he was recognized “as one of brightest talents of his generation”. Fire It Up takes Eddie’s sound global. An hour of constant energy from start to finish, the show features exclusive music, live content, competitions and interaction with Eddie’s army of fans around the world. His success boomed over the years, particularly with his conceptual ‘ED-IT’ (Halliwell DJing with Integrated New Technology), which launched in August 2009 and saw that year’s Creamfields Festival make Eddie Halliwell the must-see DJ of the weekend. 2010 also saw Halliwell collaborating with the Cream brand to release his Ibiza compilation and the launch of his iPhone App. Having travelled internationally to play his shows, Halliwell ended 2010 with New Year’s Eve in San Juan, Puerto Rico. Not only is it screamed out on dance floors across the globe, but he’s renowned as one of the major players in dance music, having been voted 19th (top 20 for the 4th consecutive year) in the ‘DJ Mag Top 100 DJ’s Poll’, and voted DJ of the year twice by Mixmag, the only DJ to win the award more than once. 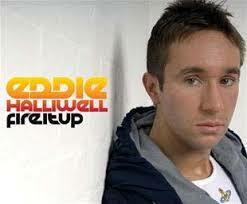 Without a shadow of a doubt Eddie Halliwell is a legend, a hero and a massively popular DJ worshiped by many. Phuket Island Radio are delighted to have his show Fire It Up as part of our International DJ Show line up and along side his very good friend Judge Jules. Check out some of our other world renowned presenters here.